Yesterday we checked out Knockhall Castle, the doer-upper which is currently for sale at £130,000. I think it’s over-priced because there’s very little land with it. The surrounding fields are all owned by someone else and not for sale – although I have heard the owner is open to the possibility of selling them. However the castle is gorgeous and has magnificent views of the sea. I would buy it in a second if we had a spare £130,000 and it included some land for a garden. The only bit of land included is the small castle courtyard. The holes near the bottom are apparently gun holes. There’s an inscription over the door which reads 1565. The door itself is bricked up. Here’s Lord Sinclair in front of his castle. 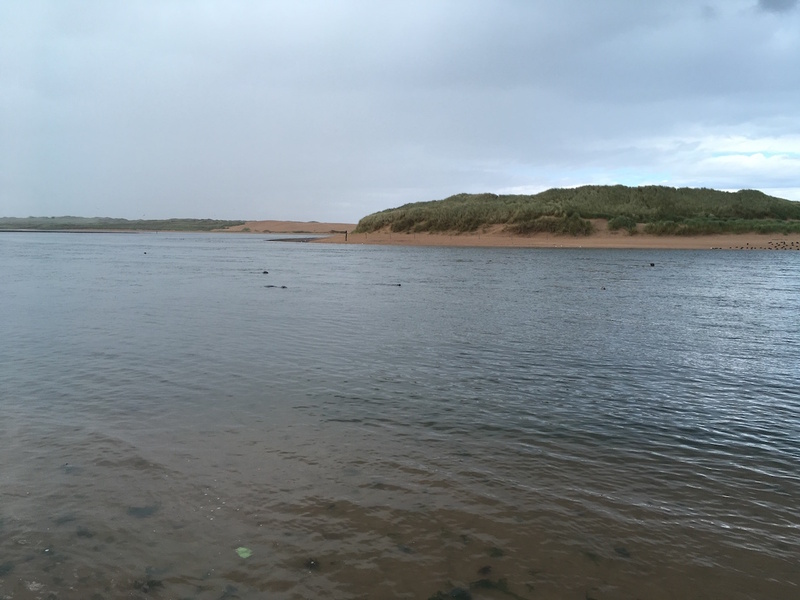 The main reason we went to visit Knockhall was to see the seal colony at Newburgh. The kids love this place as do I. It was sunny when we arrived but there was a dramatic change in the weather which made for some nice photos. I got myself some tartan tights in Edinburgh the other weekend but I fear they look more like Spiderman tights. 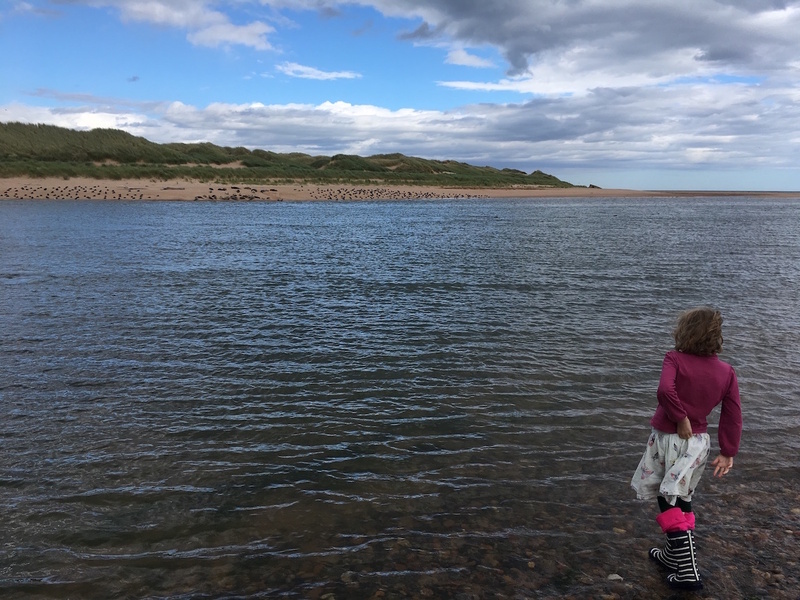 Posted in Journal, Travel and tagged Aberdeenshire, beach, castles, Newburgh, Scotland, seal, seals, spiderman. Bookmark the permalink. I’m only thinking Spiderman because you’ve mentioned it. However, maybe a different colour scheme, eg adding greens or whites, might be an option, as I definitely think tartan tights have to be a good thing. What’s a castle without a field? That’s very disappointing. Exactly! A castle without a walled garden is not a castle at all. I see no seals! We’re they out to lunch? There were more further to the right from the photo above but I didn’t snap those ones. You can hear them when you’re there. They’re really loud.